Here’s the scenic drive along the Colorado River northeast of Moab, Utah. Route 128 follows the river through a canyon, then past some amazing scenery as it heads towards Interstate 70. 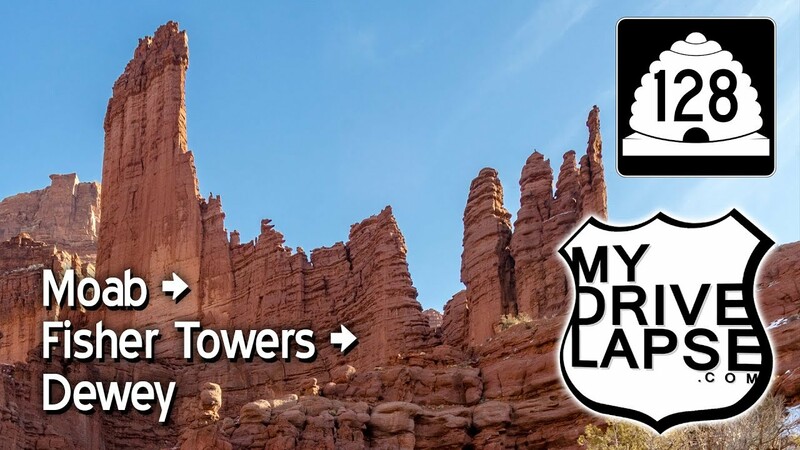 This drive takes you to Fisher Towers, then the Dewey Suspension Bridge, which is now in ruins, following a fire several years ago. A Drive Through St. George & Snow Canyon State Park, Utah!